Based in Post Falls Idaho, we’re here to make your event a blast by giving great deals on All Day Bounce House Rentals in Post Falls, Coeur d Alene, Hayden, Rathdrum, Liberty Lake, Otis Orchards and the Spokane Valley. Rent our new Tractor Combo right here! Featuring a large selection of Bounce Houses, Combos, Slides, Obstacles, Games, Concessions and more…check out our current Backyard Specials! 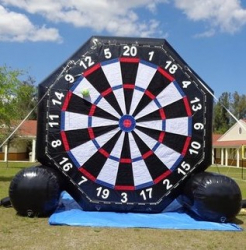 Northwest Bounce offers a wide variety of Party Rentals for any occasion. We’re your one stop shop for Birthday Parties, School Events, Church Functions, Company Picnics, Weddings, Family Reunions and more! We feature many Inflatables but also offer Tables and Chairs, Concessions, Movie Night Rentals, cool Water Games like the Hydro Blaster, Dunk Tank, or Walking Water Balls and awesome Carnival Games like the 3 in 1 Sports Challenge, Full Court Press or test your strength on our new Hi Striker! Bouncers and Combos for youngsters. Obstacles, Sumo Suits, Gladiator Joust and Bouncy Boxing for the older ones! And who doesn’t like Cotton Candy? Any of our Event Packages can be customized to fit your needs. We deliver our Event Packages throughout the Northwest, call for details. © 2018 Northwest Party Pros All rights reserved.